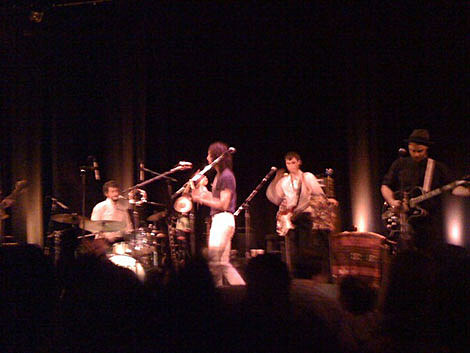 Devendra Banhart and his band The Grogs played last night (11/22) at Town Hall – their first stop on their tour’s two date NYC run. Tonight (11/23) they’ll be at Music Hall of Williamsburg. Little Joy open both – with the roles from Little Joy’s headlining show at Webster Hall on October 2nd switched. Barnhart is supporting his new record, What Will We Be, which came out October 27th on Warner Brothers. He appeared as one of the special guests at Yo Gabba Gabba‘s three-performance day at Beacon Theatre on November 21st. He wasn’t the only guest at the program’s three live shows. The second show’s music guest was Dinosaur Jr. who played Terminal 5 with Sonic Youth later that night. The third’s was The Roots who, like some of the other guests, appear on the new soundtrack for the show. Darryl “DMC” from Run DMC also appeared as the dance guest. Devo, who were in town that night didn’t show up (though Mark Mothersbaugh does frequent music for the show). The Roots played guest again one day later at Bowery Ballroom with the Dirty Projectors. 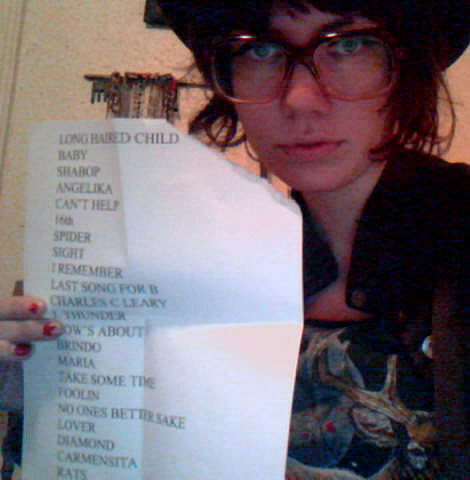 Setlist posted November 18th to Tumblr. Dinosaur Jr – Banana – Yo Gabba Gabba Live – NYC – There’s a Party in My City!